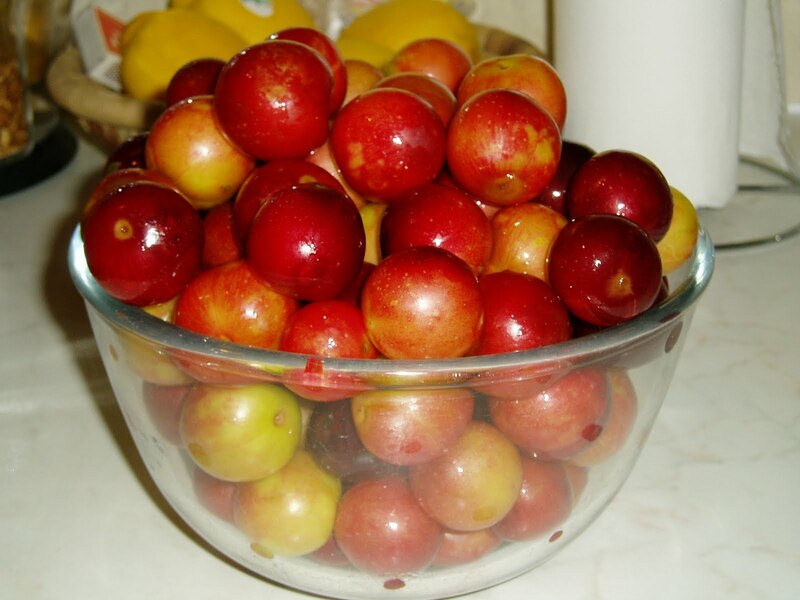 It's now plum season & we are picking 2.5kilo's a day, every day, from our tree's & its difficult to keep up with preserving them. 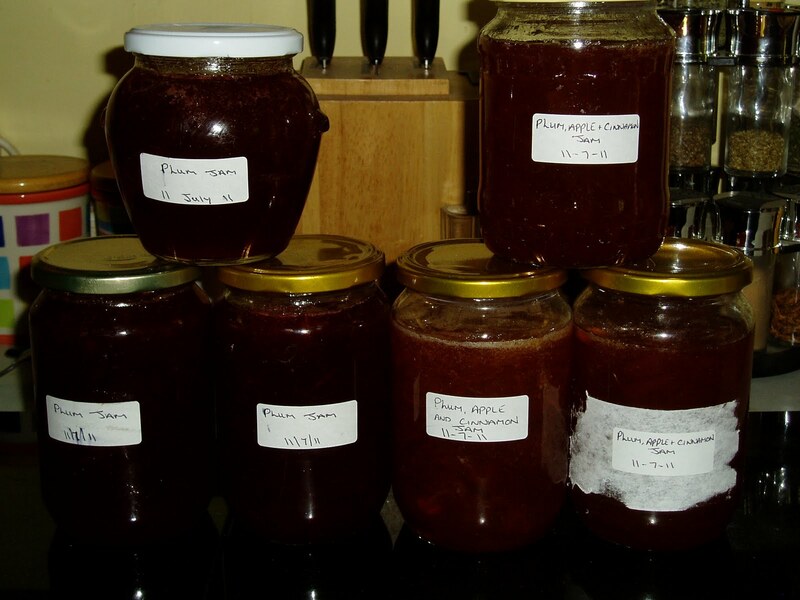 I have been making lots of plum jam but as they keep coming I decided to try something different. This is a really lovely preserve with a nice aroma as well as being very tasty. Put whole plums & chopped apples in a large pan with the water. 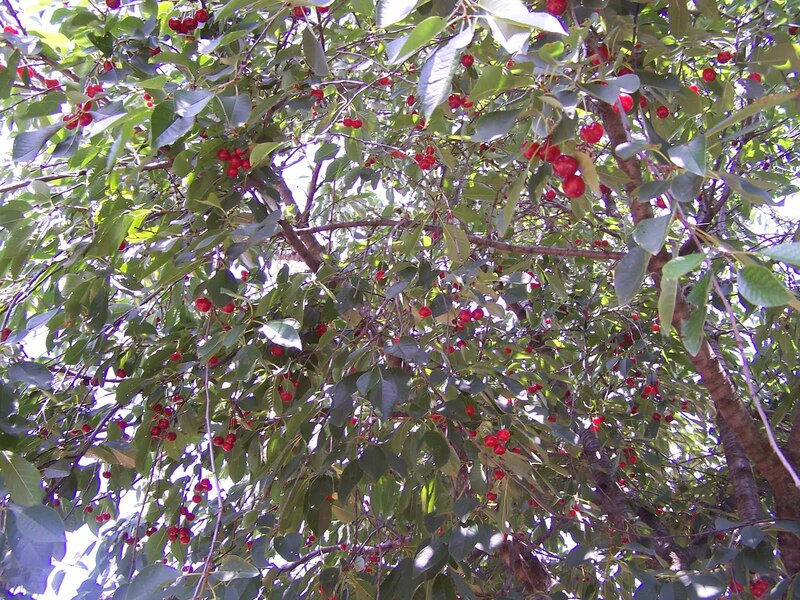 Heat till plums go soft & release their stones easily, when pressed against the side of the pan. Use a skimmer to take out the stones. Add sugar ^& stir to dissolve. Bring to a rapid boil stirring frequently to stop jam from catching. Boil like this until the jam has reached setting point. Check this by putting a plate in the freezer & putting a tsp of jam on it, leave for a min & if the jam wrinkles then setting point is reached. Jam won't be fully set until it has cooled right down. Have 3 x 1lb jars already sterilised & fill. Secure lids & as it cools down the lids should pop. Made some today using Discovery and James Grieve apples.The cinnamon gave a it delicious taste. Hi! Do you add the cinnamon whilst boiling or stirred in after it has reached setting point and whilst cooling? Thanks! I add the cinnamon as I cook it not after.